Lotto results – No jackpot winner. The jackpot is €8,800, Numbers were 4, 7, 16, and 25. The €50 winners were Peter Mimnagh, Moyne, Shauna Cooke, Gortermone, Conal Harte, 18 club and Jerry W, Rossan c/o Cathal Sheridan. Lotto draw in Eugene Reillys Saturday night St Josephs team on duty. Barna Recycling U13’s – St Josephs U13s played two games during the past week. First up was Dromahaire in Aughavas on Tuesday evening. Our lads were very slow to get going in the first half and went in at halftime three points down. As the second half went on they raised their game considerably and ended up winning on a scoreline of 6-11 to 4-04. The final scoreline flattered our lads a little as it was only in the last seven or eight minutes that they pulled clear of a determined Dromahaire team. This win meant that if they could win the last regular league game that they would qualify for the league semi-final. Leitrim Gaels were our opponents in the final round game in Leitrim Village on Good Friday evening. This was a tightly fought encounter between two evenly matched sides. Leitrim Gaels had wind advantage in the first half and the St Josephs lads started the game very well but were unable to turn possession into scores and conceded a few scores just before the break to leave the halftime score Leitrim Gaels 1-3 St Joseph’s 0-2. A slow start to the second half saw Leitrim Gaels extend their lead before St Joseph’s exploded back into the game with a flurry of well-taken scores which saw our lads go in front for the first time. It was breathless, end to end football for the remainder of the game and by the time the referee blew the final whistle, Leitrim Gaels were victors by the minimum margin on a final scoreline of Leitrim Gaels 4-5 St Josephs 1-13. We now await results of other games to see if we may have done enough to reach the semi-finals. Congratulations to both teams on producing a thrilling game of football for the spectators present. St Joseph’s squad for both games was Fionnan Harte, Ben Harte, Cian Nolan, Padraig Maguire, Jack Mc Intyre, Eanna Mc Namara, Kevin Doherty, Kalum Mc Loughlin, Liam Mc Intyre, Harry Wilson, Darren Shortt, Matthew Mc Cabe, Kian Mc Hugh, Joey Mc Brien, Gary Mitchell, Tommy Kearney, Conor Downes, Gavin Gallogly, Conor Shortt. Barna Recycling U13’s – St Joseph’s U13s travelled to Carrick on Shannon on Saturday morning to take on St Mary’s in the latest round of the U13 league. Played in perfect conditions, the two teams served up an entertaining end to end contest and at the end, St Mary’s prevailed by a point on a final scoreline of St Mary’s 3-3 St Joseph’s 1-8. Well done to both teams and referee. St Joseph’s squad on the day was Fionnan Harte, Ben Harte, Cian Nolan, Padraig Maguire, Jack Mc Intyre, Eanna Mc Namara, Kevin Doherty, Kalum Mc Loughlin, Liam Mc Intyre, Harry Wilson, Darren Shortt, Matthew Mc Cabe, Kian Mc Hugh, Joey Mc Brien, Gary Mitchell, Tommy Kearney, Conor Downes, Gavin Gallogly, Conor Shortt. Our next game is a home game against Dromahair on Thursday evening before we travel to Leitrim Gaels next Monday. Newtowngore Engineering U17’s – We were well beaten by an impressive St Mary’s in the U17 league played in St. Mary’s last Saturday. Next game is at home to Fenagh this Wednesday followed by Allen Gaels at home next Saturday. Allianz Leagues – Well done to Eoin and Leitrim seniors on their win on Sunday against Wicklow. Underage – No games last week. Our U17 game v Fenagh was postponed while our U13 game v Melvin Gaels was conceded by the visitors. U17’s are away to St. Mary’s next Saturday at 12 noon, while are U13’s are also away to St. Mary’s on Sunday at 12 noon. U11’s – St. Joseph’s U11’s will be playing against Allen Gaels during the half time exhibition game in Pairc Sean at the league match between Leitrim & Wicklow next Sunday. Best of luck lads. Best wishes Leitrim – Good luck to Eoin Ward and Leitrim team on Sunday. Barna Recycling u13s – St Joseph’s U13’s made the journey up to North Leitrim on Saturday afternoon to take on Glencar Manor in the latest round of Division 1 league. Our lads were very slow to get going and found themselves 3-3 to no score behind after 10 mins. They then hit a purple patch for the remainder of the half and managed to edge in front by halftime on a scoreline of St Joseph’s 3-8 Glencar Manor 3-5. Glencar Manor had wind advantage in the second half and took control of proceedings again to build up a 7 point lead and looked to be heading for victory but the St Josephs lads stuck at it and picked off some fine scores to ensure a share of the spoils on a final scoreline of St Joseph’s 4-12 Glencar Manor 6-6. A draw was a fair result for a very exciting game that neither team deserved to lose. St Joseph’s squad on the day was Fionnan Harte, Ben Harte, Cian Nolan, Padraig Maguire, Jack Mc Intyre, Eanna Mc Namara, Kevin Doherty, Kalum Mc Loughlin, Harry Wilson, Matthew Mc Cabe, Darren Shortt, Gary Mitchell, Tommy Kearney, Joey Mc Brien, Kian Mc Hugh, Gavin Gallogly, Jamie Stoddart, Conor Shortt, Conor Downes. > Well done to both teams and referee for providing a very entertaining game in less than ideal weather conditions and wishing a speedy recovery to Glencar Manor player who went off injured at start of second half. Congratulations also to those players on the St Joseph’s team who made their Confirmation on Friday evening and thanks to parents who provided transport to the game.Newtowngore Engineering U17’s – Our U17’s suffered a heavy defeat at the hands of Sean O’Heslins in Ballinamore last Saturday afternoon. Next game is a home game against Fenagh this weekend. Time & date TBC. All Fixtures were postponed this weekend due to weather. Leitrim GAA Supporters Club tickets on sale and can be got from any of our club officers. Barn Recycling U13’s – St Joseph’s U13s travelled to Ballinamore on Saturday morning in the second round of the league to take on Sean O’ Heslins and put on a good performance to claim the victory. Sean O’ Heslin’s applied a lot of early pressure and our lads did well to limit the number of scores conceded. As the half wore on St Joseph’s began to establish a foothold in the match and the game became more evenly contested. Unfortunately for Sean O’ Heslin’s, they conceded a few soft scores before halftime which handed the initiative to St Josephs who with the breeze to their backs in the second half were able to see out the game for the win. Well done to the St Joseph’s lads who played well but also left room for improvement and also to Sean O’ Heslins who played to the finish in what was a closer game than the final scoreline would suggest. Final score St Josephs 6 -07 Sean O’ Heslins 0-06. The St Joseph’s panel on the day was Fionnan Harte, Ben Harte, Cian Nolan, Padraig Maguire, Jack Mc Intyre, Eanna Mc Namara, Liam Mc Intyre, Harry Wilson, Kalum Mc Loughlin, Tommy Kearney, Darren Shortt, Gary Mitchell, Matthew Mc Cabe, Joey Mc Brien, Kian Mc Hugh, Conor Shortt, Jack O’ Rourke, Kevin Doherty, Jamie Stoddart, Gavin Gallogly. Newtowngore Engineering U17’s – Our U17’s defeated Mohill in round 2 of the league in Aughavas last Saturday on a scoreline of St. Joseph’s 3-08 Mohill 1-03. The scoreline flattered us with the game in the balance up to the last few minutes before a couple of goals at the end put the result beyond doubt. Underage fixture – U13’s host Dromahair next Sunday while our U17’s have a bye this weekend. Lotto Results – Lotto numbers were 8.10.19.27. There was no jackpot winner. €50 winners were Eugene Reilly Breda Coyle J&C Maguire and Darren Kenny. Lotto jackpot €8100. Next week’s draw is in Eugene Reilly’s. Next week lotto team Rory Harte, Andrew Mc Manus and Orla Mc Lean. Lotto Results – There was no Jackpot winner €50 winners were Alan Flynn c/o Modern Designs, John O Neill 17 club, Catherine Flynn 17 club, Tess O Connell Druminhin , winning numbers were 11,14,29.31. Next week draw is in Gorby’s. Congratulations – We would like to say a big congratulations to our outgoing Secretary Aoife O Malley and Fergal on the birth of their baby daughter Síofra a sister for Áille. Attracta Reilly [Leitrim County Secretary] carrick on shannon on the death of her mum, Kathleen Mc Dermott Ballincullen Drumlion Carrick on Shannon co Roscommon, May they rest in peace. Registration – Registration morning for all juvenile players takes place in the cclubroomsnext Saturday morning from 10-11am. Membership is €20 per child. €50 per family with 3 or more children. U9 & U11’s – U9 training in Aughavas Community on Wednesday at 6:30pm. 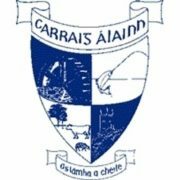 U11 training in Carrigallen Community Centre on Wednesday at 6:30pm. Both groups will alternate each week between both venues. National Draw Tickets – The Natinal draw tickets are on sale locally, the cost €10 each with fantastic prizes. This is one of our main Fundraising events and all proceeds goes towards the cost of running the club. We very much appreciate yere support, Thanks again. Lotto Results – No Jackpot winner, the numbers were 8,25,1,20 The€50 winners were Cathal Sheridan snr, David Kelly, Elaine Mc Govern and Dallan Maguire Ballyconnell. Next Saturday draw is in Kilbracken arms Jackpot €7,700.